Lancelot's Lady...instantly transport yourself to another world--somewhere sweet, sensual and oh-so-tempting. A Bahamas holiday from dying billionaire JT Lance, a man with a dark secret, leads palliative nurse Rhianna McLeod to Jonathan, a man with his own troubled past, and Rhianna finds herself drawn to the handsome recluse, while unbeknownst to her, someone with a horrific plan is hunting her down. TRAILER: To view the book video trailer created by award-winning fantasy author and trailer creator Kelly Komm, please visit http://www.cherylktardif.com/lancelots-lady/. Then come back here and leave a comment with your email address to qualify for prize draws and to receive your free ebook. You're guaranteed to receive at least 1 free ebook just for doing so. Plus you'll be entered to win a Kobo ereader. Winners will be announced after October 10th. Let me know what you think about the video trailer. Does it make you want to buy Lancelot's Lady? Did you buy a copy as a result? I sure hope you did. :-) Be sure to let your friends know about my book launch. Thank you! 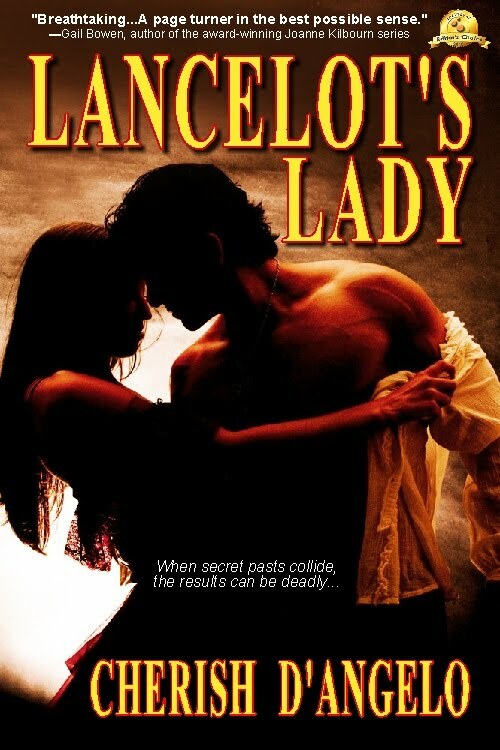 Lancelot's Lady is available at Amazon's Kindle Store and on Smashwords. It'll soon be available at other ebook retailers. Pick up a copy and "cherish the romance" of Rhianna and Jonathan. What an intense trailer! The music does so well echoing the intensity of the story. Thank you, JM, for your support during my launch party today. I'll check back in over the next week and a half. For my tour schedule, please go HERE. This is stop #8 for me!! This is fun!!! I would love to read your book and review it on my blog!! Good luck with the tour!! I will be following you around!! You are now entered in my draws. I loved the trailer for Lancelot's Lady! It really gave depth to the premise/brought the blurb to life. Lancelot's Lady is at the top of my wishlist to get on my next book purchases - I hope in the next couple of days. Whale Song: "a very touching/heart warming book"